Tradewinds Corporation is a diversified conglomerate with key interests in property development and hospitality. 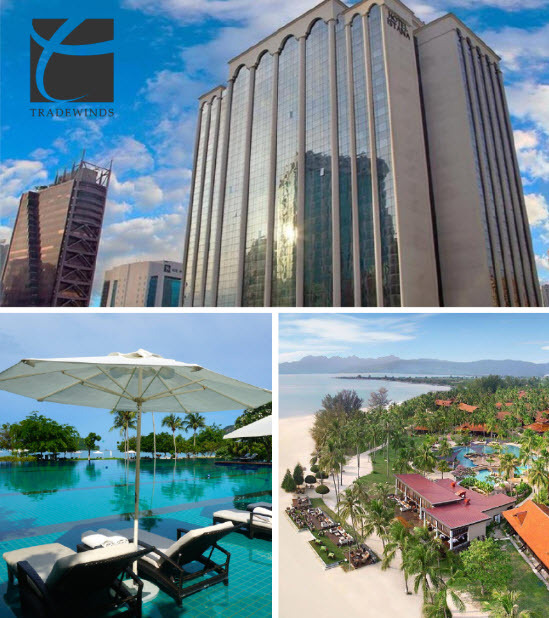 Tradewinds Hospitality is one of the largest hotel owners in Malaysia with eight hospitality assets throughout the country including its flagship hotel, The Danna Langkawi along with prestigious which include Hilton, Istana, Mutiara, and Meritus. For Tradewinds Hospitality it is imperative to always be at the forefront of the customer service and guest engagement enabled by technology in today’s day in age. They realized that increasing the volume of guest reviews and the level of guest engagement is only possible via adding more channels for collecting them at the property. This is precisely the reason why they had decided to employ the services of Reputize for their hotels. 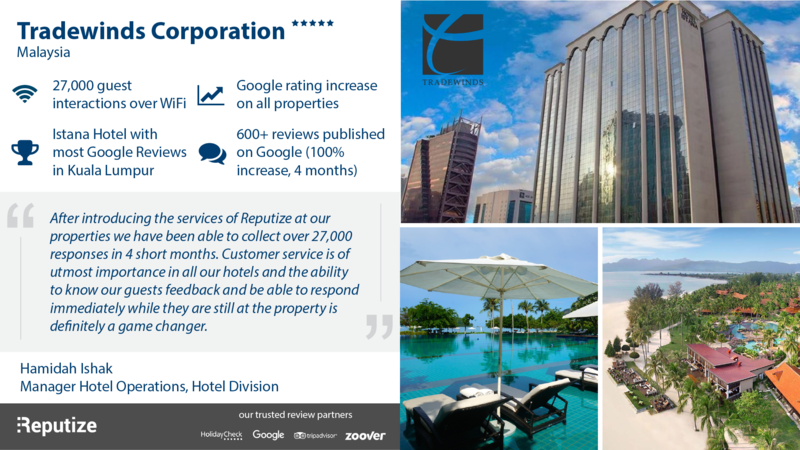 Becoming the first customer of Reputize in Malaysia the hotels operated by Tradewinds Hospitality were able to publish over 600 reviews on Google which lead to a deserved increase in their rating not only on Google, but also on all meta-search sites like Kayak, Trivago, etc. The lack of own review content is one of the major reasons why hotels remain in huge dependency by large OTA’s (Online Travel Agents), with the services of Reputize the hotels of Tradewinds are not only closer to their guests but also closer to being independent from large OTA’s. Download case – click here.